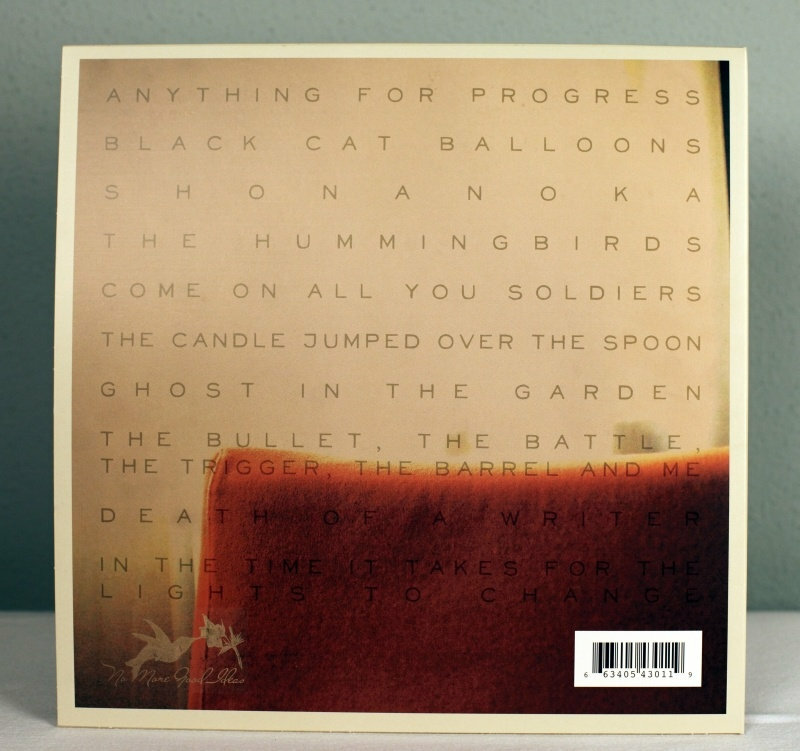 patrick beautiful & heartfelt & ambient Favorite track: The Hummingbirds. 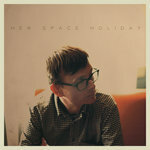 Aaron C. Hollis I was surprised at how big the sound is on this album. It's as if the clear arrangements from The Young Machines and The Past Presents the Future merged with the rough textures from the XOXO Panda album to create this, which makes for a great listen. 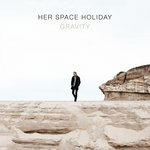 I hope that this does not represent the final evolution of her space holiday, but if it truly does then it is an amazing conclusion and one I'm happy to listen to. Favorite track: Anything For Progress. 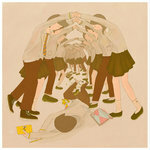 Luke Fowler This is music to listen to when you're depressed and you're not in the mood for catharsis. 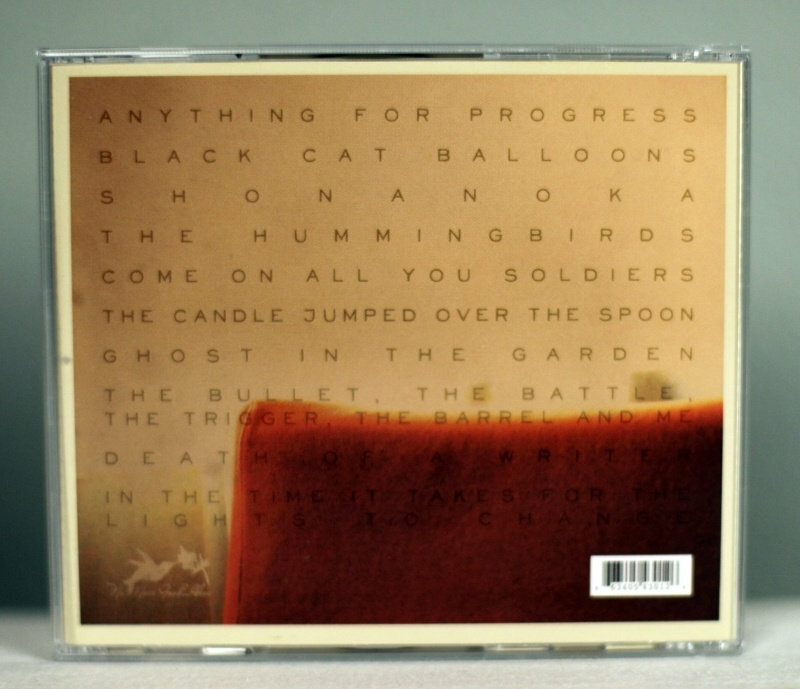 Favorite track: Black Cat Balloons. Don Lolo L'un des meilleurs album de 2011! 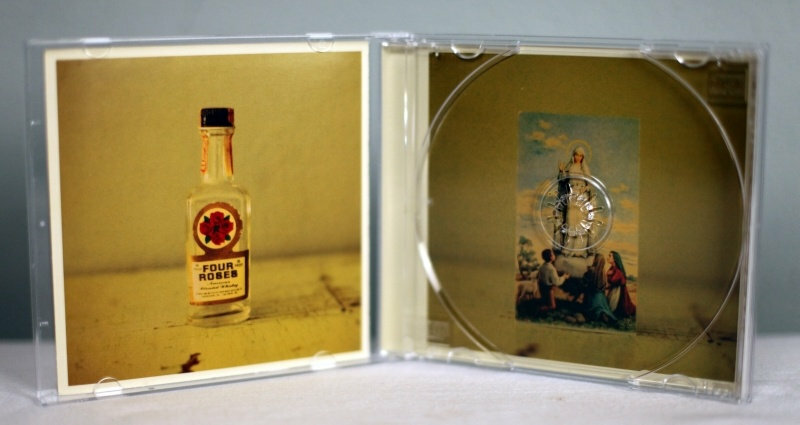 rien à jeter de ce magnifique album pop et folk. Malheureusement le dernier de ce projet. Favorite track: The Candle Jumped Over The Spoon. 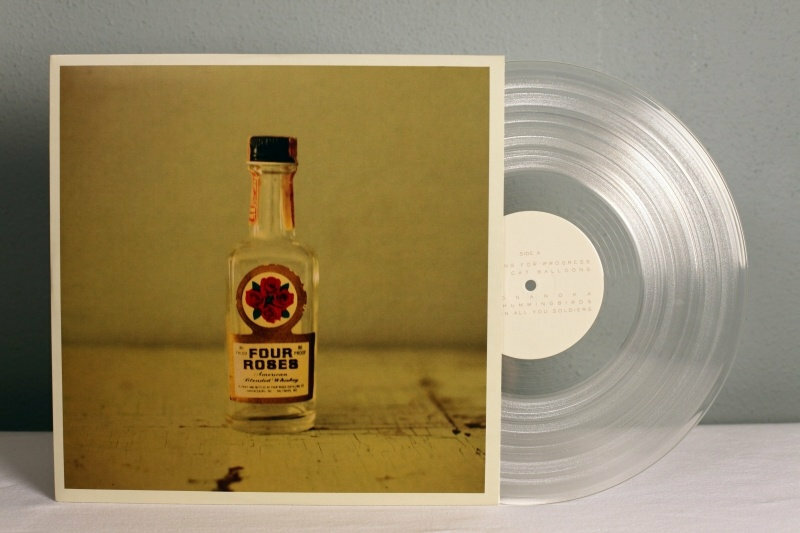 Ultra limited edition LP cut on clear virgin vinyl. 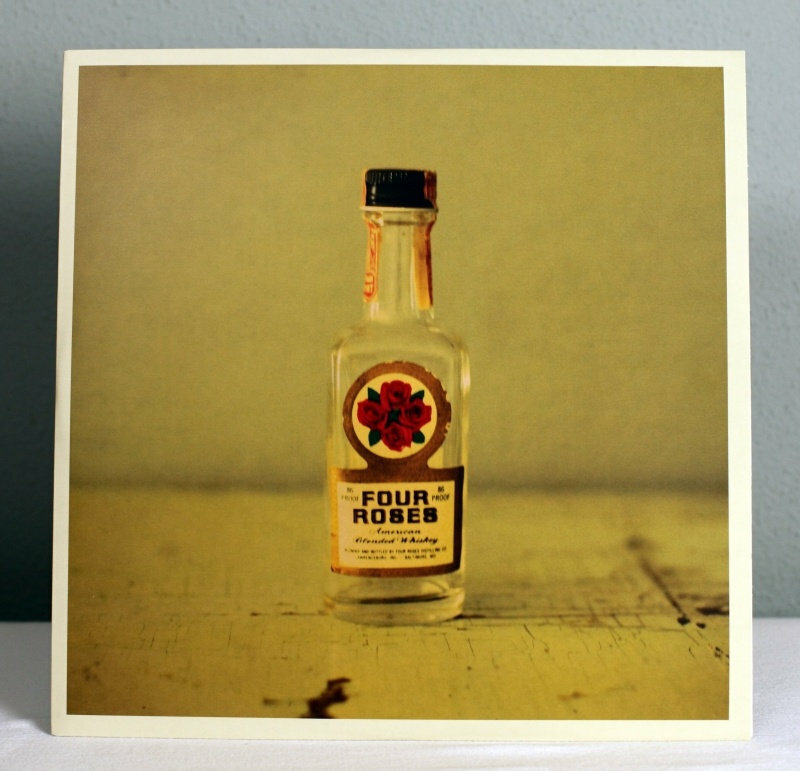 The inserts feature full color printing on heavy matte stock. We also packed a download card inside the album sleeve that you can use when the record arrives. 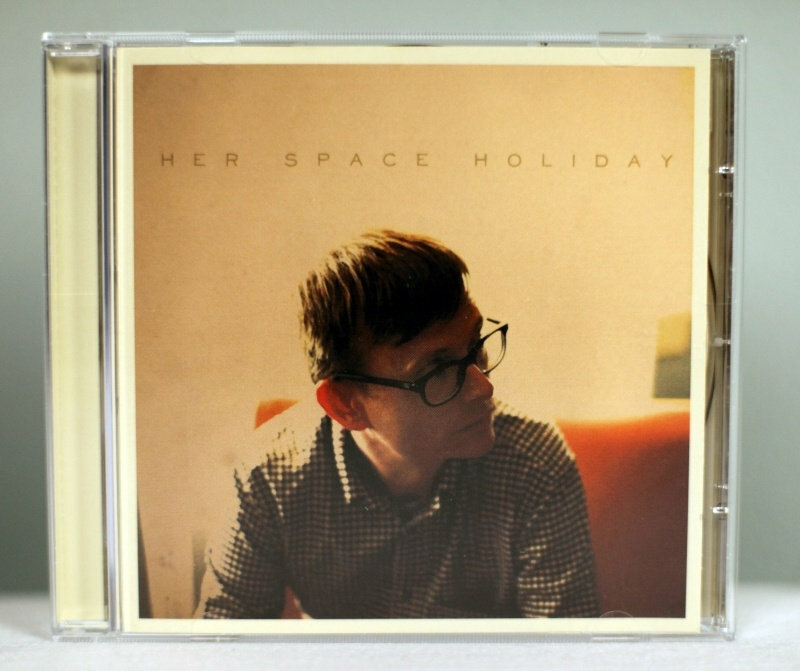 For Marc Bianchi, 1996 will always represent the year he started recording under the moniker Her Space Holiday. 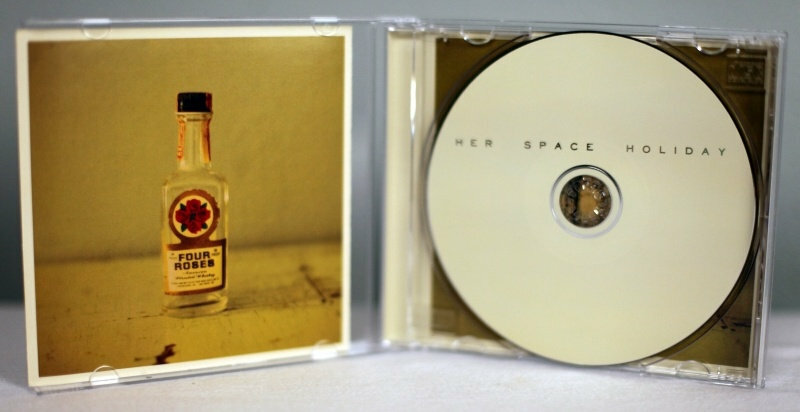 In the future, he will look back on 2011 as the year he quietly laid his project to rest, with the release of Her Space Holiday on August 16th, 2011. From the early droney days of Audio Astronomy and The Astronauts Are Sleeping Volumes 1-2, to the acclaimed orchestral pop electronics of The Young Machines and The Past Presents the Future, to the stripped down organic clap along jangle of XOXO, Panda and the New Kid Revival, the aural, and thematic aesthetics were constantly evolving, but the heart of the songwriting remained the constant. 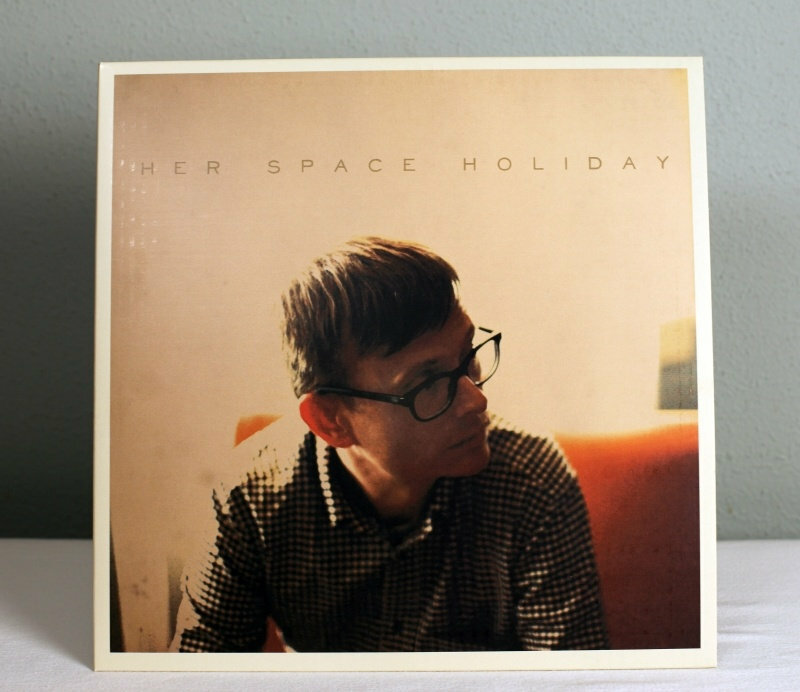 Rather than choosing one specific musical direction to build from, Marc has created a record that encompasses all of the varied sonic themes that have spanned across his entire catalog--a true snapshot of the Her Space Holiday journey. Tucked away in the 150 year old farmhouse/studio in Bastrop, TX and with producer Stephen Ceresia, Marc began to deconstruct the rough sketches of songs he had resting on his hard drive for the past year and a half. Once the foundation was properly arranged, he began reaching out to friends and associates for their musical contributions. The cast list includes drummer Eyad Kaileh (ex-Indian Summer), Nick Moulos (Attack Formation), Matthew Shaw (City Light) on guitars & vocals, and 4 Bonjour’s Parties (Mush Records). Guest vocal appearances include Dave Wingo (Ola Podrida), Caroline Lufkin (Caroline/Mice Parade), Tania Bowers (Via Tania), Ann Yu (Love Like Fire/Silver Swans), Tracy Uba (Sugao), Ben Webster and Maricela Mayo (Butcher Bear and Charlie), Nick Andre (City Light), and Phoebe Ceresia (Kling). 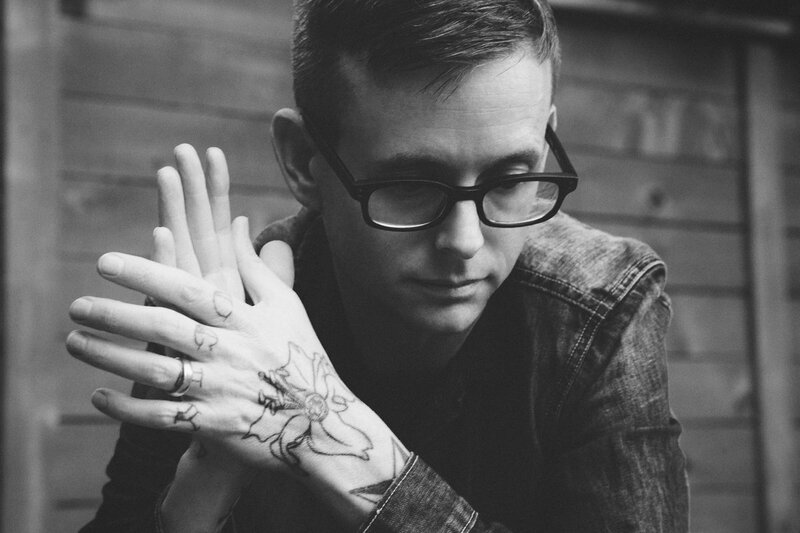 Over the past fifteen years, Marc has created several critically acclaimed albums and has toured with such artists as Bright Eyes, The Go Team, The Faint, Pinback, Bob Mould, Daedelus, Yukihiro Takahashi, and the American Analog Set. Additionally, he's remixed artists such as R.E.M., Elastica, Kool Keith, Xiu Xiu, Boom Bip, and many others, and has been remixed by the likes of Matmos, Dntel, Stereolab, Super Furry Animals, just to name a few. Most recently, Marc co-produced and played drums on Hanni El Khatib’s debut album Will the Guns Come Out. Although he's worked with some great indie labels over the years (Mush Records, Wichita Recordings, Tiger Style, Pop Frenzy, etc. ), Marc is letting this final album rest solely on his own shoulders, self-releasing and self-funding the project on his own label No More Good Ideas. If you listen to the entire Her Space Holiday catalog in chronological order, there's a distinct progression not only in songwriting, but in personal perspective as well. There have been moments of optimism, delusions of grandeur, greatness, failure, self-indulgence, bitterness, humor, finger-pointing, compassion, stupidity, wisdom, joy, and loss. But for better or worse, each moment was part of the experience. And with Her Space Holiday, Marc has distinctly wrapped up one life chapter, while simultaneously and optimistically venturing onto the next.